The USC Foundation Membership Program was initiated in 1967 to ensure the continuous development of cross-connection control information that has become so vital to those involved in cross-connection control worldwide. The Membership Program has allowed the USC Foundation to maintain its strong leadership in cross-connection control, to the point where the USC Foundation is considered by many to be the world’s utmost authority. 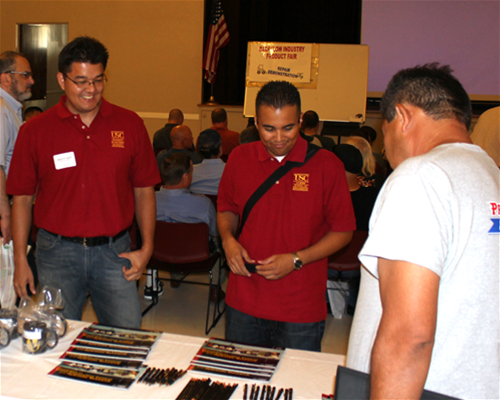 The advantages of membership in the USC Foundation are numerous. The Members are kept up-to-date with an e-mail notification every time the USC List of Approved Backflow Prevention Assemblies is updated. Also, Members will be mailed any Special Notice as needed and exclusive to members for one year. Special Notices are a way the USC Foundation notifies its Members of important information regarding backflow prevention assemblies. Members will also receive a subscription to Cross Talk, the Foundation’s quarterly newsletter, which informs members with the latest news concerning backflow and cross-connection control. Cross Talk becomes an invaluable source of information and is a primary tool that the Foundation uses to communicate to its members directly. In addition to the List update e-mail notifications, Special Notices and Cross Talk, members receive discounts on training courses and all the training tools the USC Foundation has to offer. As part of the USC Foundation membership program, members receive an e-mail notification every time the List is updated. Information on the List may be invaluable to someone working in the field in determining what assemblies to install or to those administering a cross-connection control program. Companies which become members can extend those discounts and benefits to employees. For example, any employee interested in taking any of the USC Foundation training courses is eligible for the discount via the company's membership. Members are urged to sign up for an automated List update notification via e-mail. The benefit for using the Foundation’s website automated request form is that from that point forward the member will be notified of all password and List changes. Anytime the List is updated the member receives notification via e-mail. What do you get with a USC Foundation Membership? - Special Notices mailed as needed and exclusive to members for one year.